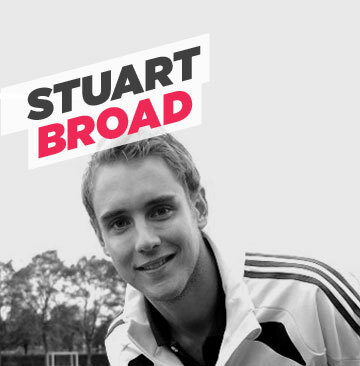 Stuart burst onto the county scene with Leicestershire in 2005, he studied at Oakham School and is the son of former Nottinghamshire and England opening batsman Chris. He was picked for England Under-19s in 2005 and fast-tracked into the England A team at the age of 19, he made his One-Day International debut in August 2006 and finished as Leicestershire's leading wicket-taker in the county season. He joined Notts, his home county in 2008 the year he helped England claim an ODI series win in Sri Lanka and made his Test debut later in the winter. Stuart played a central role in the Ashes triumph in 2009. He is now a vital part of the England attack over all forms of the game and is England T20 Captain. Stuart is delighted to be an Ambassador of the Foundation and says, 'I am inspired by Hambo and the work that his Foundation is carrying out'.